For the second time in a short period of time I participated in an important Fedora event. 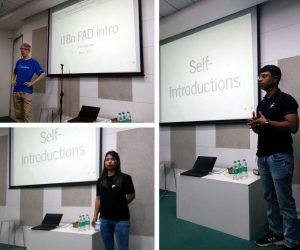 November 20–22, 2017, an Internationalization FAD was organized by a group of Fedora contributors from Red Hat Pune. 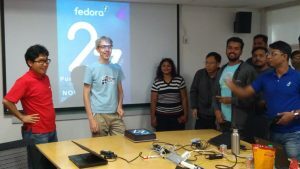 FAD stands for Fedora Activity Day, it is a mini-conference. It differs from large conferences like Flock because it is attended by small number of people and it is focused on one subject. Actually I should write Day #-1 (November 18) and Day #0 because my as well as some other attendees’ travel lasted more than 24 hours. Due to the time zone difference and all the mess it’s difficult to define when a day ended and when it began. 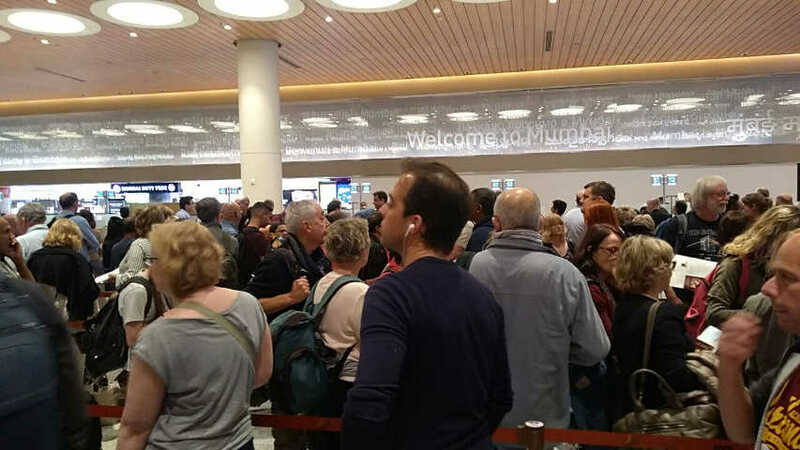 In general, the travel went smoothly and without any problem except one: I spent 1.5 hours in a huge queue to the immigration desk at the Mumbai Airport. Somewhere far behind me there was Mike Fabian and even further behind him there were Takao Fujiwara, Akira Tagoh, and Peng Wu, who arrived little later than me. I really don’t know why it took so long. 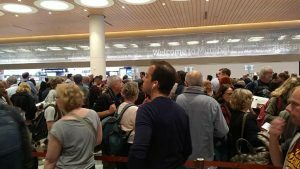 Probably because several large jumbo jets with many foreign tourists arrived in a short time. The immigration officers worked rather fast and without unnecessary delays. However, we all met and left Mumbai only after 4 AM local time and we reached our hotel in Pune before 8 AM. Big shouts to Sundeep Anand and Parag Nemade who despite the night and the weekend were contacting us online all the time, giving us advices and making sure that we were OK.
Our first day in India must have been spent on taking some rest after the journey. The hotel turned out to be very comfortable. 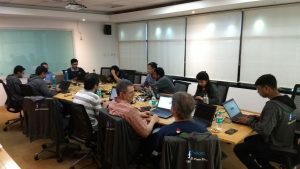 Parag perfectly organized our time: first he let us take as long rest as we wanted and then in the afternoon he took us for a Red Hat office visit. That was my first Red Hat office visit ever so everything was impressing for me. A brand new office building, some places still being finished, everything in a perfect order. The actual first day of the FAD was for presentations. It started with an official opening and self-introductions. Opening and self-introductions: Jens Petersen, Pooja Yadav, and Pravin Satpute. Next everyone had an opportunity to present their current works. It turns out that each of us works on a tasks which are personally familiar. Takao Fujiwara, Akira Tagoh and Peng Wu work on rendering (Pango library) and input (IBus) of the text in East Asian languages. 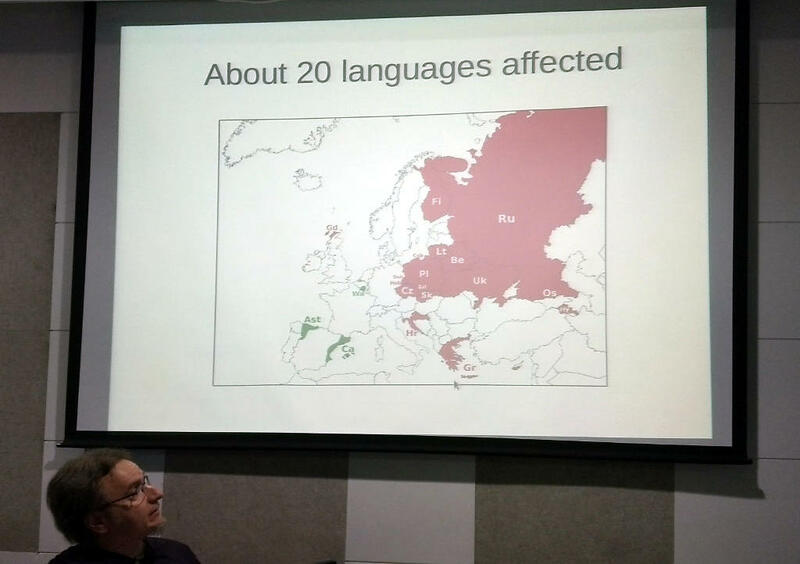 Unfortunately, I know almost nothing about these languages so I don’t understand much of their work – except obvious things like that it’s more complex than in European languages and needed for their speakers. 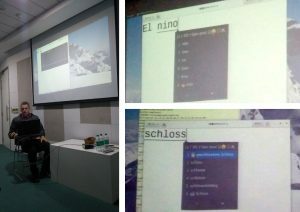 But, on the other hand I spoke about my current work on formatting dates in inflected languages. Each time I talk about it to the foreign people I have a feeling that the audience don’t know that I’m talking about. I guess that time it was the same. 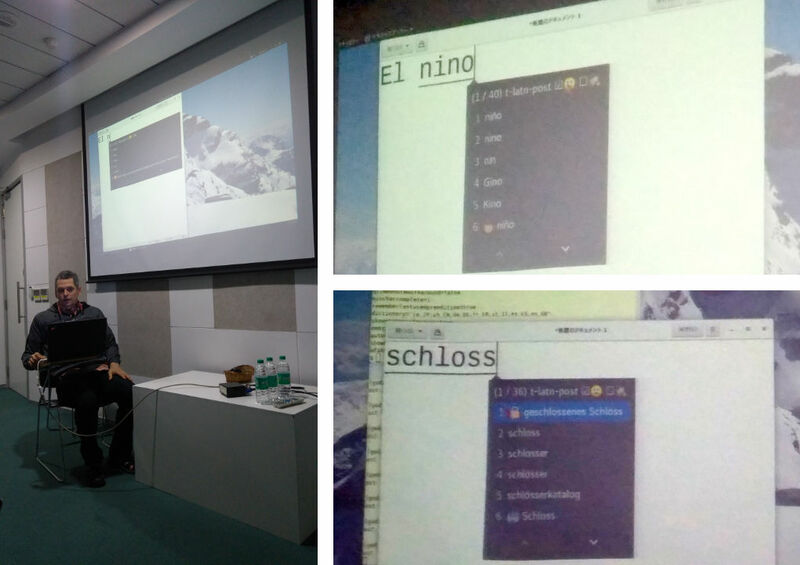 My talk about formatting dates. Photo credits: Jens Petersen. Inflection is an original feature of Proto-Indo-European language which disappeared totally or almost totally in most of the contemporary Indo-European languages. However, it still exists in Slavic and Baltic languages, also in Greek, Sanskrit and several more. But this diversity of the discussed topics only means that the term “Internationalization” is very broad, it includes features local to some groups of languages. There is a place for both inflected languages and logographic scripts and more phenomenons than you can think of. 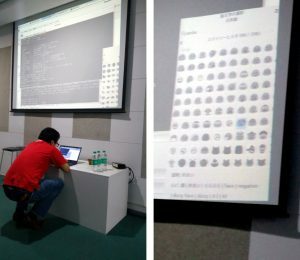 It’s nice that Mike Fabian, Takao Fujiwara and others work on a better support (input and displays) of emojis in Fedora. Transtats project is getting more and more interesting. 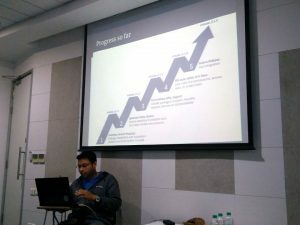 While at this, I learned that Sundeep Anand is not working on it alone. FAD was attended by several people from the Quality Assurance team of Red Hat who support him. Those people also actively test other projects, like IBus and East Asian fonts. … but he is not working alone. Working on our projects. Photo credits: Jens Petersen. The second and the third day were meant for the common work on our project. Most of the time I spent working with Mike Fabian. Despite my initial plans we were neither working on my project of formatting dates in inflected languages nor on the automatic locale data import from CLDR to glibc. Mike says that my work is basically completed and we can’t add anything more, we can only wait for more positive reviews. Instead of this we were working on fixing the collation orders in Latvian and Polish, the nearest plans include more languages, like Czech and Upper Sorbian. It’s a really hard and dirty work. In most of the languages there are established rules of collation order of the letters of their proper alphabets but what should we do if there are foreign letters? Language scientists are free to say “this is unlikely to happen” or “we don’t define how to handle this” but we developers must be able to handle every Unicode string. Moreover, some languages have really unusual collation rules. Usually the rules say that we should compare the letters starting from the beginning and towards the end. If there is a difference between letters it determines the collation order. If the letters differ in the diacritical marks only then some languages treat them like different letters and some like the same letters. But in French language there is, or rather there was a rule saying that if two words differ in diacritical marks only then for the collation order we must take the diacritics… counting from the end of the word! This rule is so weird that finally it has been rejected from most of the French variants but it is still in use in Canadian French. How to deal with this? But Mike has managed to fix it. 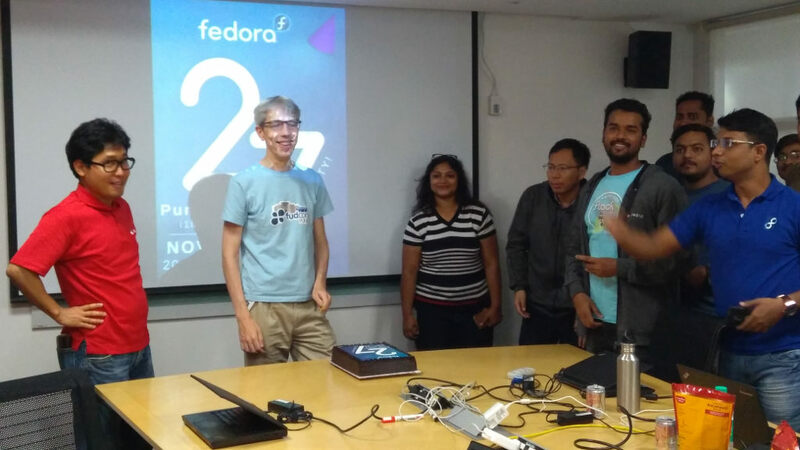 We were talking with Jens about the Fedora bug 1401096. While installing Fedora Workstation you can select the user interface language but the localization packages are not installed because they are missing from the installation disk. They must be downloaded from the net. This problem does not occur with the network installation which by definition downloads the packages. I think that we need a way to mark in the package management system that some packages are required and they should be installed in future, as soon as the network becomes available. It’s crucial that I understood the problem because in the past I contributed to gnome-software (and I still hope to contribute in future) and I think this is a task for that project or rather to powering it PackageKit. 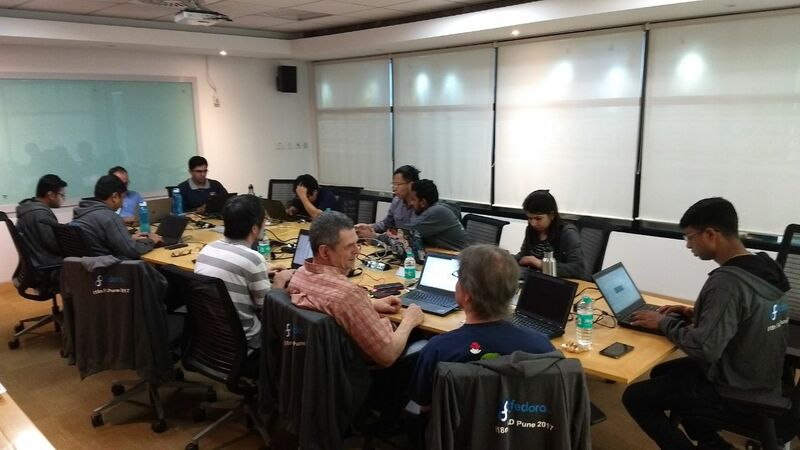 Another unplanned task which we had together with Mike and Pravin Satpute was adding the Filipino language to Fedora. Actually all we had to do was to coordinate some tasks because most of them had been finished already or must wait until at least one application translation is ready. After this hard working day we spent the evening bowling and having BBQ at Amanora Mall. We also celebrated Takao Fujiwara’s birthday. All locale data for Russia should accept Russian [Дд] (D) and [Нн] (N) as the correct answers to yes/no questions. Introduce the en_EU variant of English since there are non-English native speakers in Europe who want to use English in their computers for various reasons. Remove the "@euro" locales because nowadays they don’t differ from their non-"@euro" counterparts. 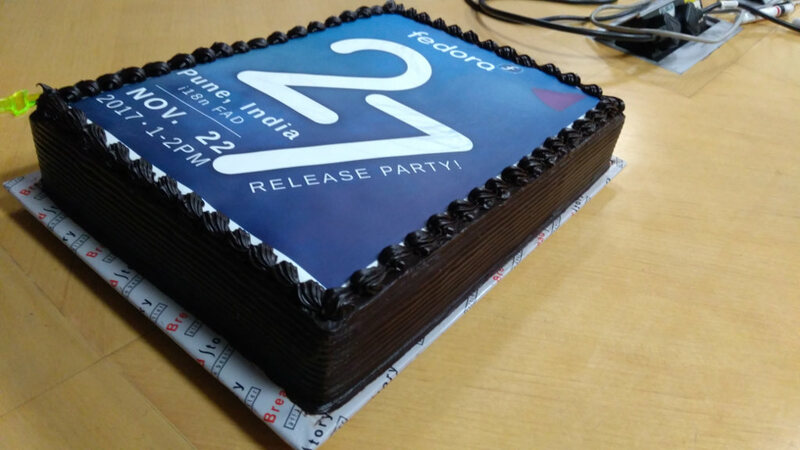 In the afternoon there was also the Fedora 27 Release Party. How was it? There came more people working in the same office and a large cake with the beautiful printed image was put on the table. I have a feeling that the Release Party was dominated by us, the FAD attendees. The organizers asked the oldest of us, that means Mike, Jens Petersen and myself to cut the cake. It was really yummy! That was, unfortunately, my last (so far!) day in India. 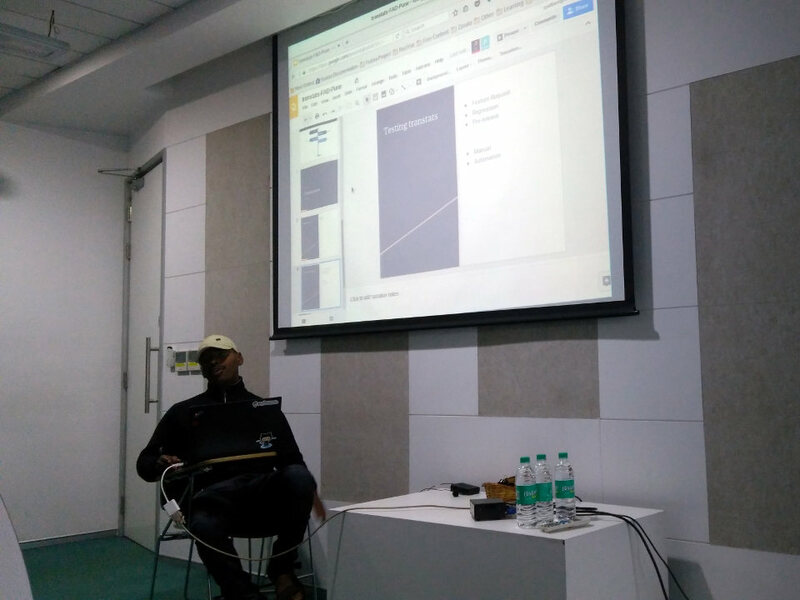 I warmly thank the organizers for all their help, mostly I thank Satyabrata Maitra but also Parag Nemade, Pravin Satpute and Sundeep Anand. I really regret that I couldn’t stay longer. Most of that day I spent traveling which went absolutely without any problem. See you online or in real life! नमस्ते!